Many people today use a chromebook which runs using Google’s Chrome OS and trust me they love it. So, if you’re one of them and is on a hunt for a chromebook compatible printer then you’ve definitely come to the right place. Chromebooks are designed to make extensive use of Google cloud services. Almost every app that works on a Chromebook does so, using an Internet connection. Printing functions work in the same manner, utilising an app called, Google cloud print. While this can be an entirely new concept for users who have migrated from Windows, printing on a Chromebook is a pretty straightforward procedure. 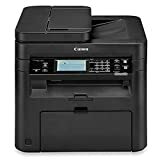 Now there are a lot of good and bad printers available online today which are compatible with chromebook. Such wide range of options can lead to a confusion. However, the good news is we have already done the hard work for you by segregating the top 5 printers so you won’t have a hard time selecting the best ones for your needs. The printers listed below are certified products of good quality. This is based on a careful assessment of each chromebook printer through buyer comments and product comparison, all to provide a comprehensive guide to buying a printer that fits you the best. 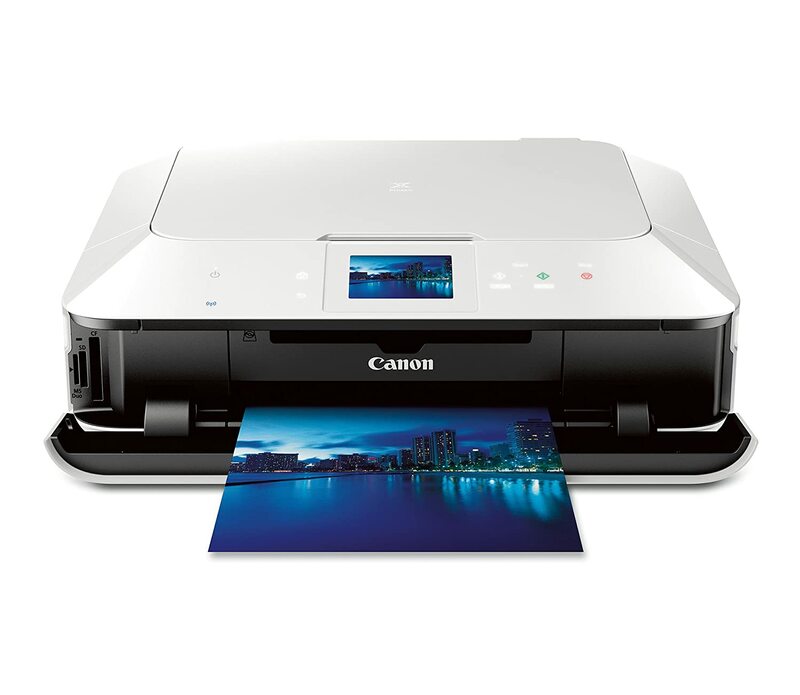 We are starting our top 5 list by adding our #1 recommendation – Canon PIXMA MG7120. 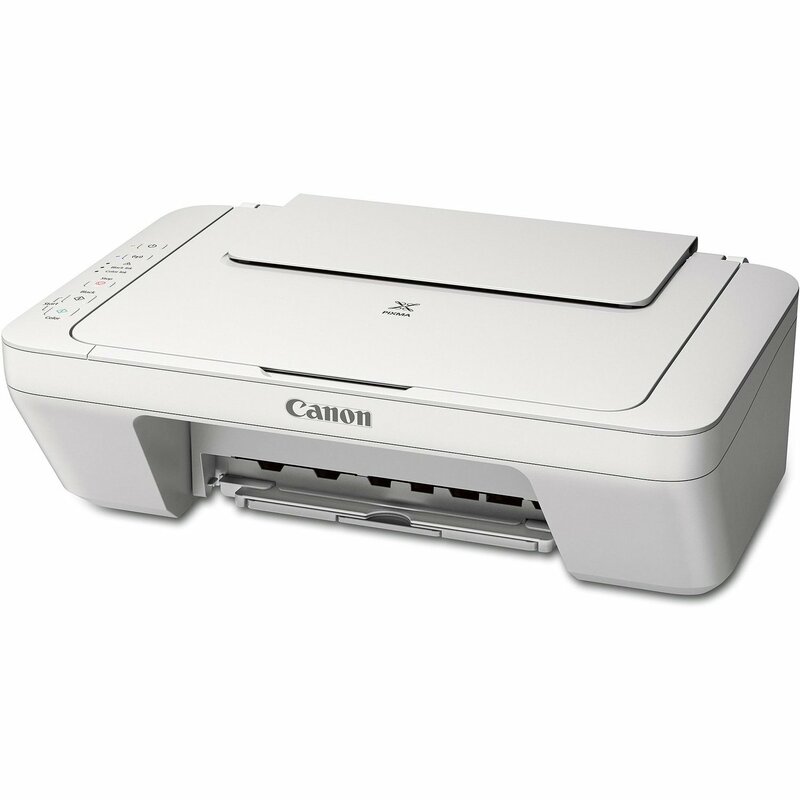 This printer comes in 4 different colors and all colors offer different prices ranging from $140 – $395. This is a great wireless color printer which offers the facilities of print, copy, and scan. It’s a fast and high-quality printer. This printer measures 18.4 x 14.6 x 5.9 inches and weighs only 18.1 pounds. Furthermore, it has a print resolution of 9600 x 2400 and a 3.5 inch LCD touchscreen display. Existing users of this printer say that it runs smoothly and is super easy to use. It prints quietly and has a quick start operation. You can also use it to print CD/DVD labels. It comes nicely packed along with a user manual, installation disc, cartridges and a power cord. Built-in card slot for memory cards for direct printing. 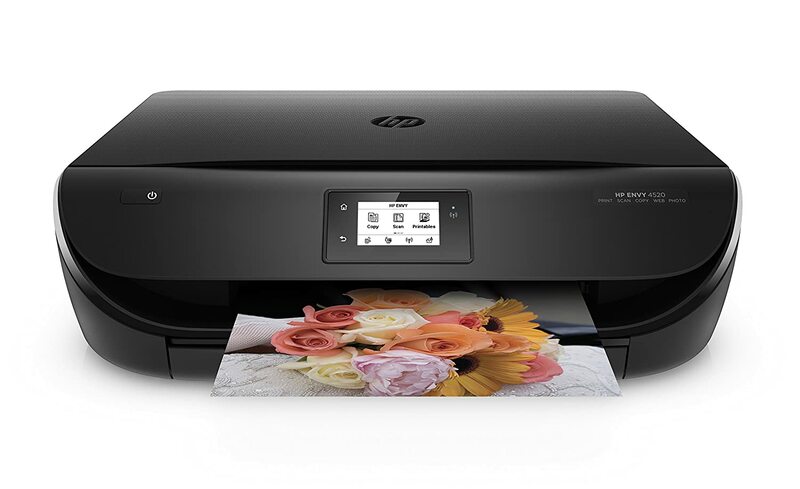 The HP Envy 4520 is an all-in-one wireless printer which prints beautiful borderless photos and is an absolute ink saver. It has a sleek & compact design and helps you to print from anywhere in your home. This printer features duplex printing and a limited hardware warranty for 1 year. The input and output tray has a paper capacity of 100 and 25 sheets respectively. It is compatible with all versions of windows including XP,7,8 and 10. Not only this but you can also use it with your MAC and chromebook of course. This printer is actually fairly simple to set-up. Just connect the power cord and switch on. 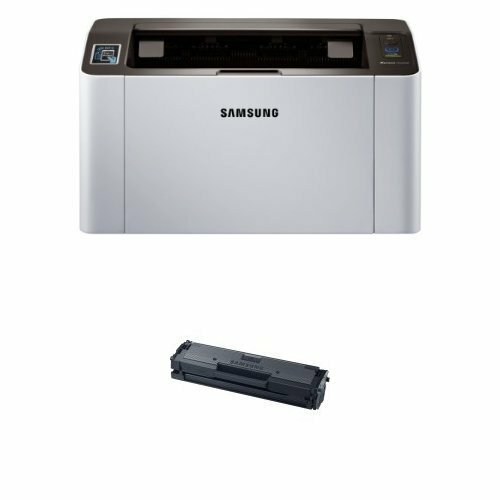 If you are a fan of Samsung and its products, then you are going to want to check out this wireless monochrome printer. 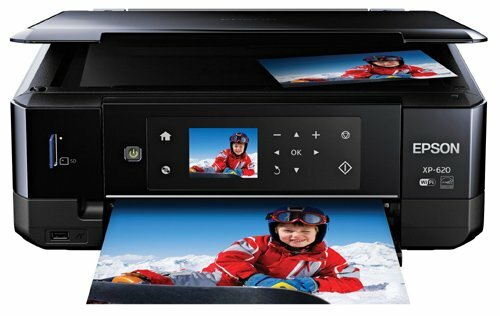 This printer has a fast speed and delivers remarkable photo prints. It’s an absolute steal at just under $100. Now your print is just one click away. You can either install Mobile Print App or if you are a chromebook user, you can install the Google Cloud Print. The elegant design and lightweight make it stand out from others in the market. You can expect an easy installation and cost-effective printing. It’s on our Top 5 list for a reason! The next up on our list is from the Canon again. This is the finest photo printer available out there in the market and is known as the Canon PIXMA MG2920. It’s an inkjet printer which prints at a speed of 8 and 4 IPM for black and color respectively. It has a nice compact design and prints silently without disturbing others in the same room. This printer is super lightweight with only 9 pounds. It comes with a setup CD-ROM, cartridges and a user manual. It even allows you to organize, access and personalize your favorite photos, thanks to the image garden software. Customers liked many features of this printer and how versatile the printing abilities are. It’s smooth, flawless and delivers clear & sharp images. Super affordable price at just under 50 dollars. Easy to set up and delivers great prints. Not a good life. However, at such a low price even if it works for 1-2 years then it’s not bad. The last printer in our best printer for chromebook list is the Epson Expression Premium XP-600which has an unbeatable photo quality and top performance. It’s an all-in-one wireless printer with a 2.7 inch LCD touchscreen which previews the document/photo before printing. Just run the CD-ROM which comes along with the printer and install the software with the help of a step-by-step guide on your computer. For other devices like Ipads, Tablets and smartphones just install the necessary application from Appstore or Google Play. This printer makes everything works at your fingertips and has an awesome automatic photo correction feature. The Epson XP-600 is a fast, brilliant and a versatile printer. We would definitely recommend this to anyone who’s looking for a wise choice. The only downside of this product is that it does not have an automatic scan feeder. That means you have to load each paper individually to scan them. This eats a lot of time in scanning. Auto photo correction for perfect photos. Consumes a lot of ink. I hope you find this list useful and informative. However, if you have any doubts or want to ask a question then please leave a comment below.